Washington, DC | www.adc.org | April 4, 2018 |In the recently passed $1.3 trillion federal spending bill, Congress increased military aid to Israel. All military aid to Israel is in violation of U.S. law prohibiting the transfer of arms to human rights violators. All of which is made worse by the fact that Congress refuses to enforce accountability and transparency on aid to Israel, which has come at the American taxpayer’s expense. Congress provided $705 million for Israel’s missile program. That’s a boost from last year’s $600 million. Both come on top of the $3.1 billion we already give to Israel every year. And that aid is being handed over without accountability and transparency. U.S. aid to Israel’s missile program was originally conditional on matching Israeli contributions but Congress has stripped this provision. All Israel has to do now is demonstrate its “best efforts.” In other words, if Israel only matches 10% and calls it its best effort, Congress is satisfied even though the U.S. taxpayer is stuck carrying the costs without any of the benefits. 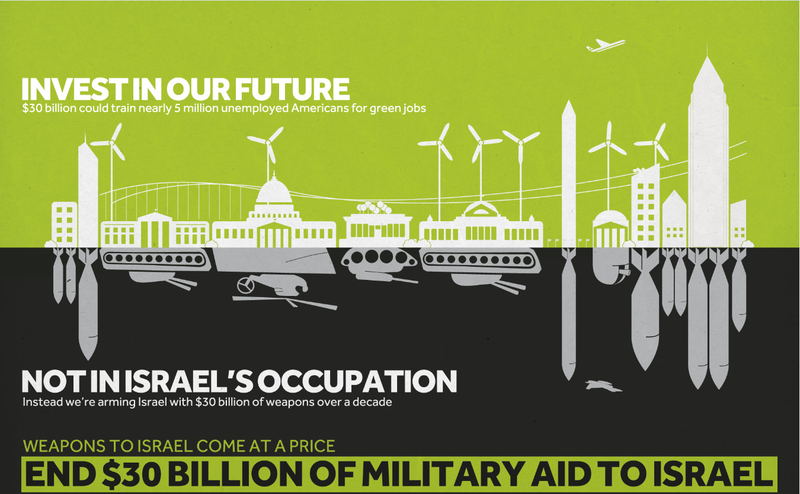 It’s time to end wasteful spending to Israel and the unfair burden on U.S. taxpayers. TAKE ACTION: Contact Your Representative to uphold the interests of taxpayers! In a rebuke to Congress’s $705 million to Israel, ADC has launched Campaign 705 to raise awareness about the unfair burden imposed on U.S. taxpayers. Please donate $70.5 or $705. With your generous support, ADC will continue to inform and mobilize the American public to bring about an end to military aid to Israel.